Imagine a towering berry trifle, with layers of tasty whipped cream, and delicious fresh berries. 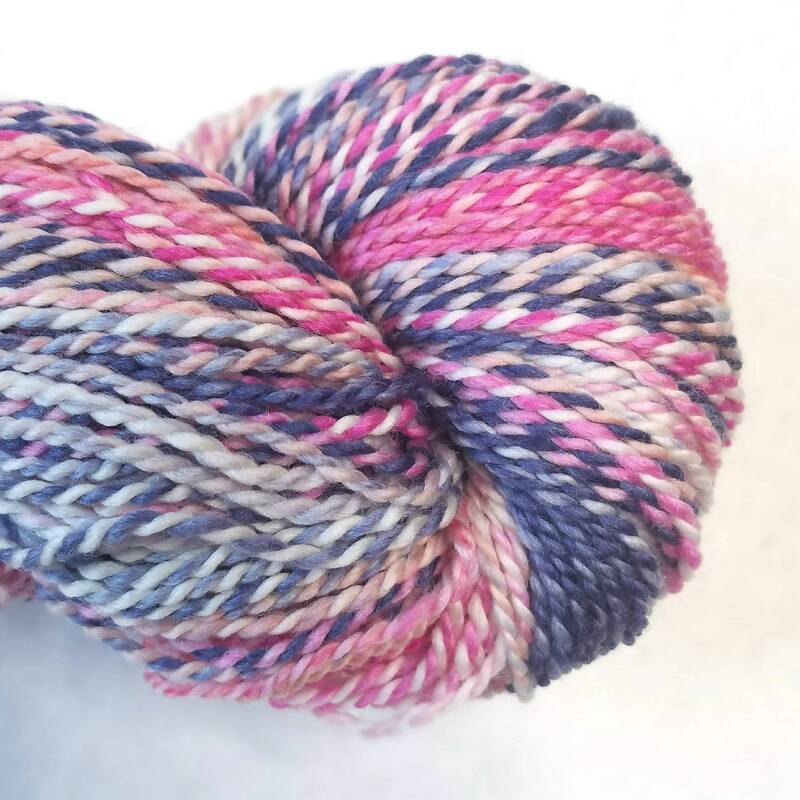 Ready in time for summer, this 2-ply, 4.oz skein of yarn has gorgeous berry tones mixed with white. 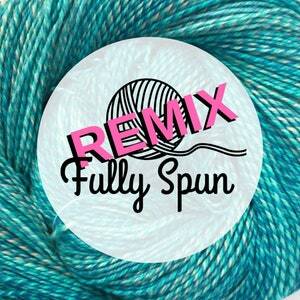 Here at Fully Spun, I hand-dye wool roving. 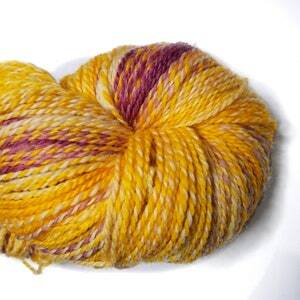 I then ship it to a mill, and wait anxiously for it to be returned to me as beautiful yarn. 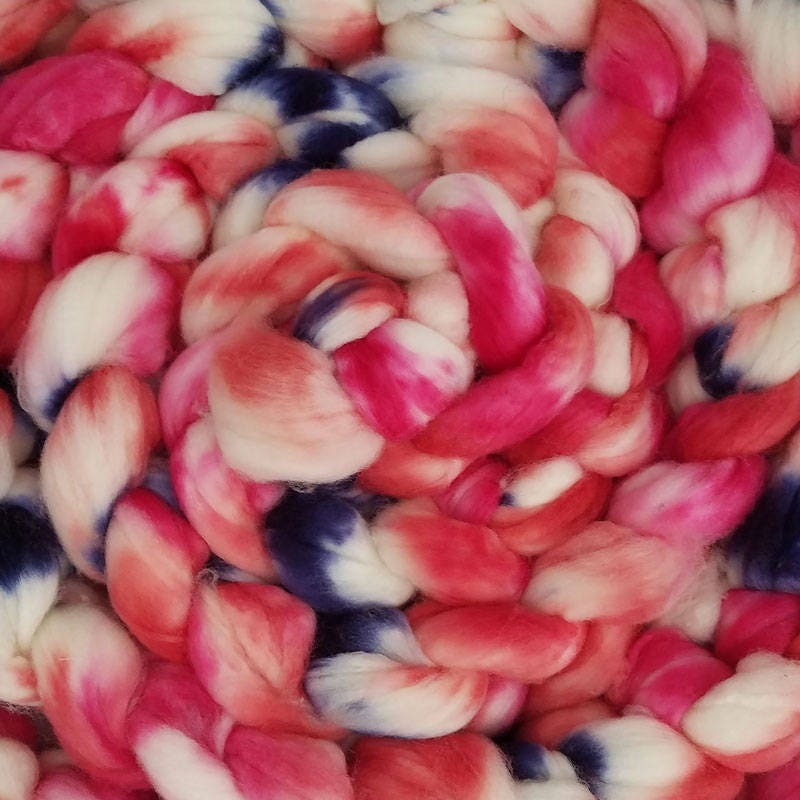 I dye all of my colorways to create a 'fractal' effect, a repeating, varied, color effect that repeats within itself, and creates that 'classic' handspun look. 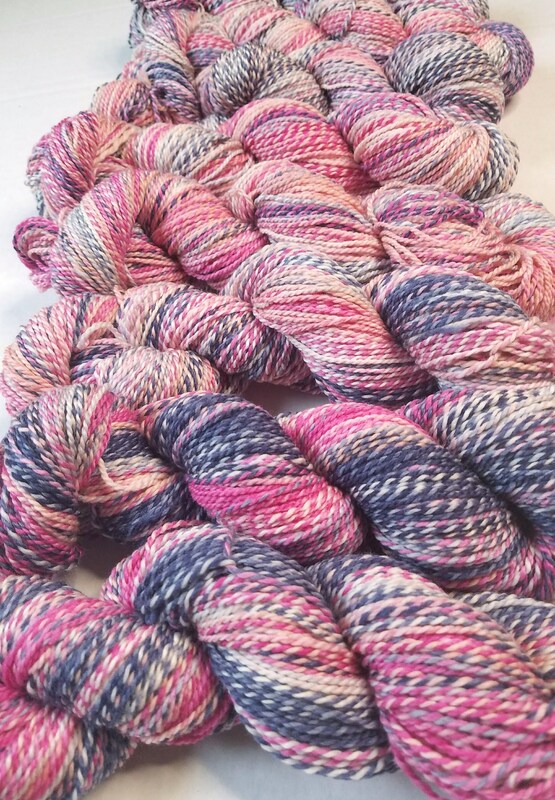 This also means that our skeins are sisters, not twins. 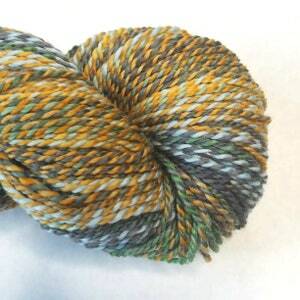 The spinning process stretches the roving, meaning that the dominant color changes from skein to skein. 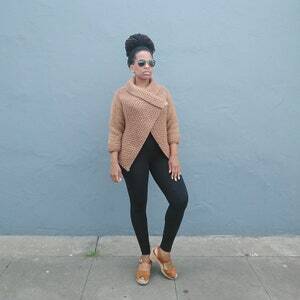 This is part of the charm!